To Order, Click on the Picture of the Book Below. then click on the Yellow "Checkout with PayPal" button at the bottom of your shopping cart. The PayPal checkout allows you to use your credit card or a PayPal account. You will be redirected to PayPal, please follow the instructions there. 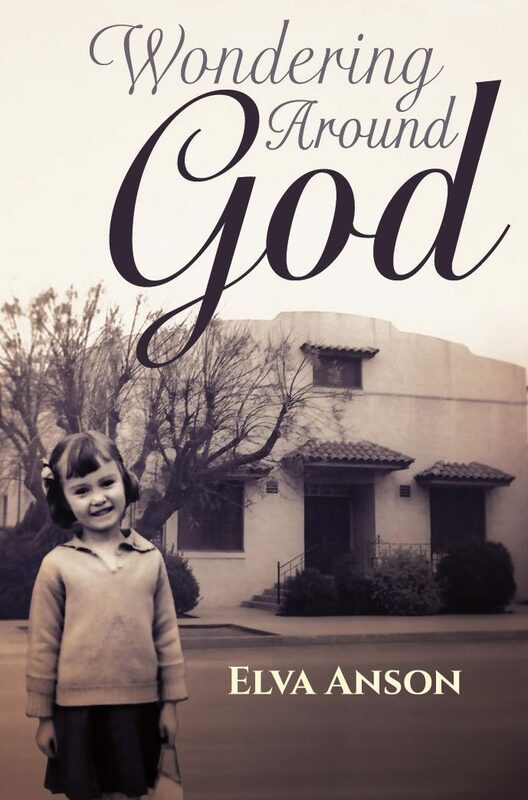 Wondering Around God – Is there anyone who has never wondered around God? Click here for more info or to order. 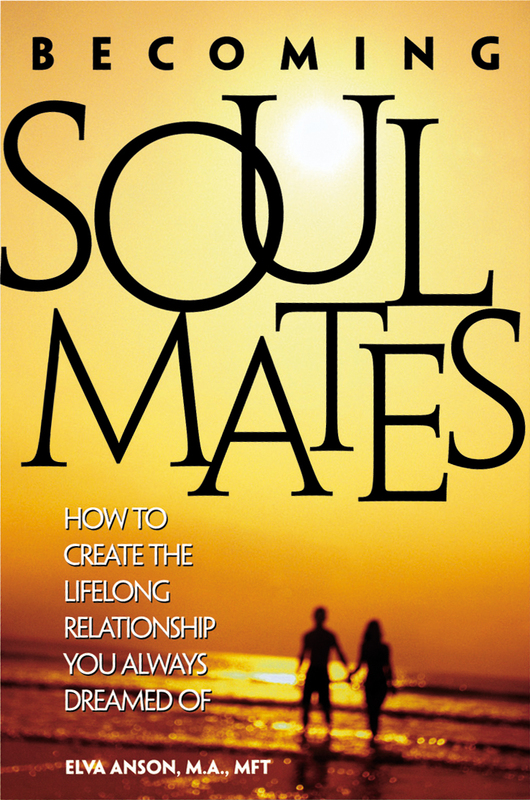 Becoming Soul Mates – Create the life-long relationship you’ve always dreamed of. Click here for more info or to order. 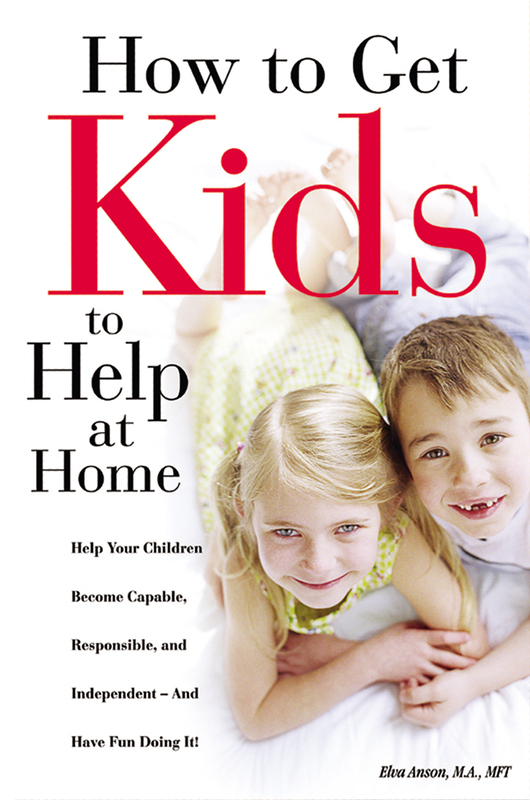 How to Get Kids to Help at Home – Help your kids become capable, responsible and independent – and have fun doing it! Click here for more info or to order. 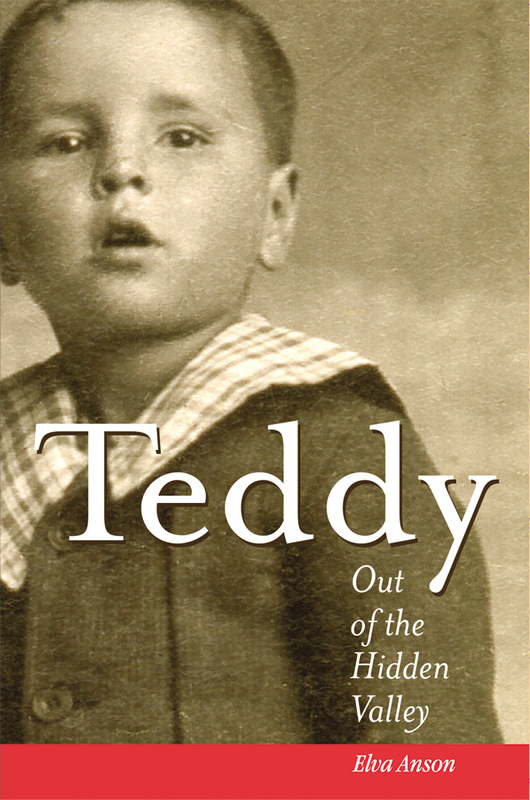 Teddy: Out of the Hidden Valley – “He cried, but no one heard.” Read the true, inspirational life story of Teddy. Click here for more info or to order. 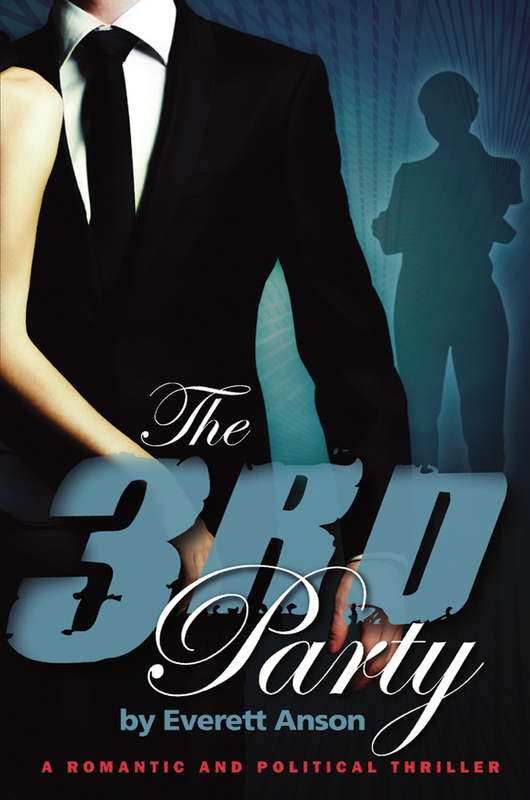 The 3rd Party – A romantic and political thriller that points out what’s wrong with politics today. By Everett Anson. Click here for more info or to order. “Relationship” provides opportunities for learning to everyone. From birth to death, no one escapes the challenge. Some of us find it pleasurable and some give up, but all find it difficult. Here are four great relationship blogs. 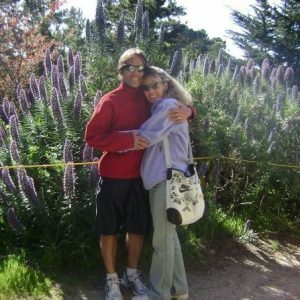 Soulmates – How to find the soul mate you’ve always dreamed of. 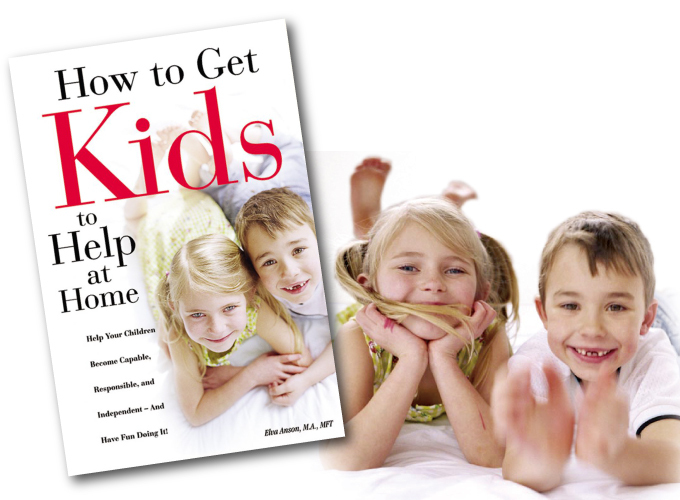 Parenting Blog – Most people don’t become parents blessed with parenting skills – parenting skills must be learned! 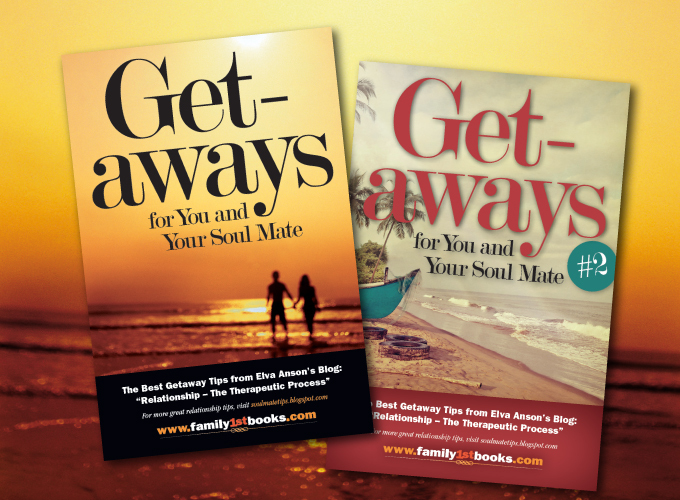 Get Aways Blog – Get Aways provide the freedom and opportunity to know each other better. Wondering Around God Blog – Where are you in life and how much importance do you give to being open to nurturing your spiritual side? Wondering Around God is published and available on this website! I am looking forward to get back to my blogs. There are more than 300 of them. Check the listing. You can go back to any of them at any time. Sorry, I have had to be away. God face to face. Even that comment can cause pop up questions. Is “face to face” how it will be? You can see I am still wondering around God! What is your perception about relationship? What are your expectations? These are important questions. When you and your partner understand relationship provides the opportunity to learn, grow and mature, you will see relationship in a new way. You will no longer believe that if your partner would change, you could have the relationship you have always dreamed of having. You will be looking for ways YOU can change and grow. You will look for a partner who is willing to learn and grow as well. includes looking for a partner interested in learning, growing and changing with you as you both mature. You will share what you are learning. You will encourage each other and focus on each other’s strengths. You will share growth, appreciation and wonder. That is what makes love grow. YOU WILL BE PARTNERS IN CHANGE instead of TRYING TO CHANGE YOUR PARTNER! 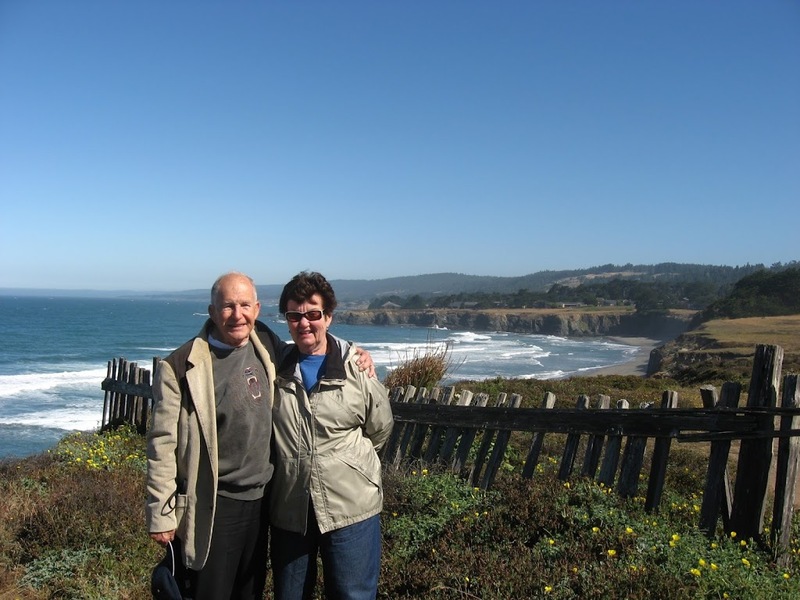 Was This the Best One Yet at Sea Ranch? We have celebrated many anniversaries at Sea Ranch and every time they have seemed like the best one yet. The sixty-first anniversary visit was no different. We both love the ocean. We can no longer walk the two plus miles to our favorite sit-down log, but we walked to our favorite bay . Just off the trail, we walked to our secret place. It opens to a beautiful hidden view of the ocean framed by heavy green growth. We couldn’t climb down to the edge like we used to do, because neither of us trust our sense of balance. We sat on the hard ground at the approach between the trees and enjoyed the sound and narrowed view of the ocean. 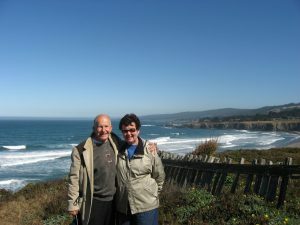 Five or six years ago our favorite room at Sea Ranch became unaffordable. 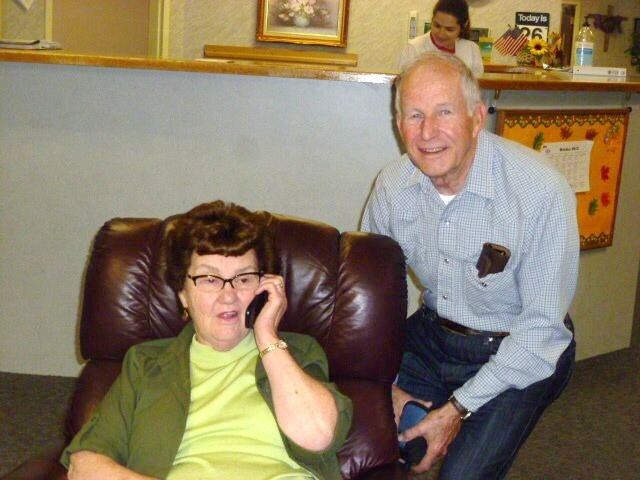 Our 56th anniversary was the last anniversary we celebrated there. This year we decided to see if our room was available on lower cost week days. It was. We booked it for two full days and three nights. From start to finish it was everything we fantasized and hoped for. When we reached the coast south of Bodega Bay a sparkling blue ocean bathed in brilliant sunshine greeted us. Driving curvy Highway One up the cliffs past the little town of Jenner felt wonderfully familiar. We found a bottle of Champaign waiting for us in room ten. The room had been upgraded. Still no television, clocks or telephone, but elegant and uniquely rustic. Instead of telling each other our stories as the sun set each night, we reminisced and talked about stories we now share. Stories about the red fox we had seen one night and the day we saw a rabbit come running out of the woods followed by a coyote. He jumped into the river and swam to the other side evading the coyote. Not long after that a news story reported President Carter had seen a rabbit swimming. When the reporters joked about it, we knew the president was telling the truth. We have seen a seal give birth, an osprey catch a fish, a big buck lead his harem of seven does proudly across the field in front of us. We have more stories together now than we had alone before we met. 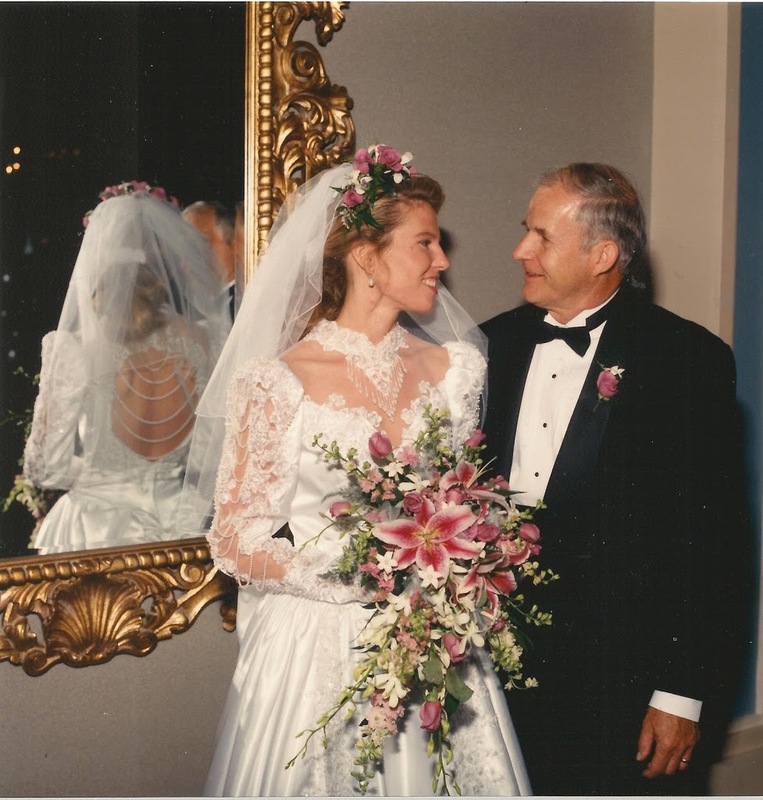 We both do remember and that is another blessing after sixty-one years! 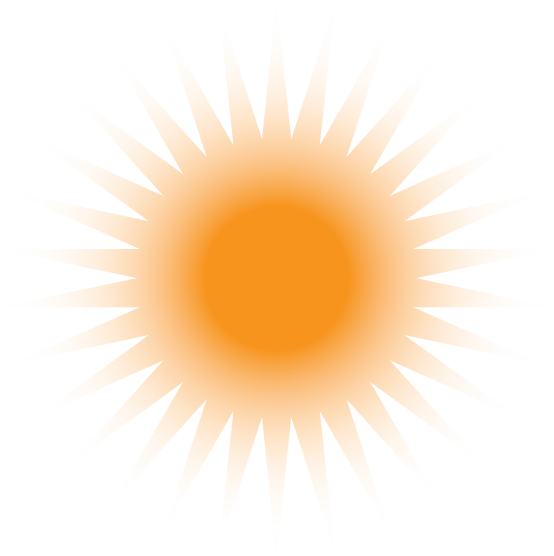 Three days of sunshine and balmy weather while people at home were enduring one hundred plus temperatures. If this anniversary was not the best one yet, it certainly came close! Joy comes in many forms: feeling free of addiction after months of failed attempts to break the chains, welcoming a dearly loved family member back after a long absence, skin touching skin with a loving spouse, having a purpose, seeing a new grandchild for the first time. In marriage, joy comes off and on, deepening with passing years as each partner learns to let go of fear and a need to change the other. Greet each day in wonder. Expectations blind us from seeing the beauty of each other. What can I learn today about the amazing complexity of who I am and who my lover is? This is a lifetime challenge. I have recently finished reading C.S. Lewis’s book Surprised by Joy for the second time. I read it the first time many years ago. Interestingly, what I got out of it this time was different. Joy does not come from seeking it. It comes as a surprise when we are able to finally discover the dimension of the spiritual part of ourselves. Letting go of expectations and opening up to beautiful differences between my self and those around me. Soul mates cannot find joy if they lose their own identity. It comes when we recognize and affirm the beauty in each other without comparison, expectations, and fear. Who Did You Choose to Love? Do you really know that person who sits across the dinner table day after day? Expectations make us blind to the gift of the person with whom we have chosen to spend our lives. There is no way life is supposed to be. There is only life. As years go by, I realize some of my husband’s wonderful strengths become lost because I am so focused on what he should do or be. I am reinforcing his own focus on his weaknesses. We all have weaknesses and strengths. If we focus on the strengths we have twice as many as we have alone. Often each of us has the strengths that are our partner’s weaknesses. Wow! If we focus on each other’s strengths we have twice as many as we had alone. Focus on the gift your partner is rather than the one you thought you wanted. Recognize the unimaginable challenge and opportunity to become more and more mature in faith, in love, and in joy. Embrace that opportunity to grow by accepting and learning from each other. Understand that relationship is the therapeutic process that can lead to satisfying maturity. 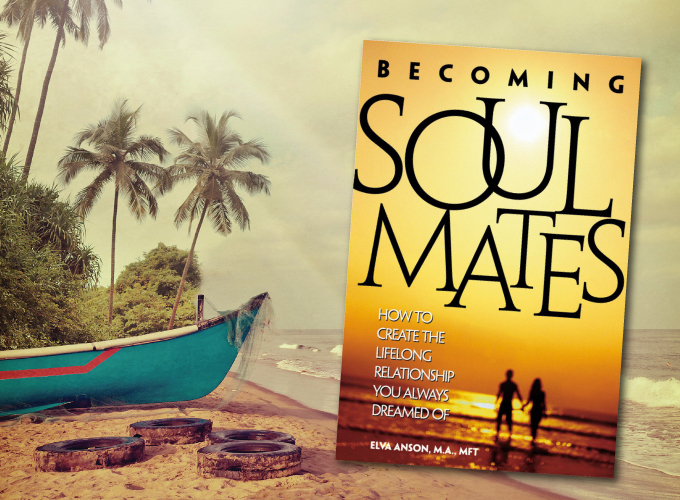 For more help order “BECOMING SOUL MATES” by Elva Anson at Amazon or http://www.family1stbooks.com . Bob: I want to go to Hawaii so we can hang out under an umbrella. Barbara: Yes, and we can drink pina coladas with little umbrellas in them. Those are so festive! Bob: Yes, and I read a review of a restaurant right by the water that has festive colored lights. Barbara: Yes, and I could try the Mahi Mahi fish and we could walk on the beach after dinner. Bob: That sounds nice. I love the sound of the waves. Suppose that Barbara doesn’t really want to go to Hawaii. She knows how expensive it is and is worried that such a trip will badly eat into their savings. Going to Hawaii just to make Bob happy does not serve the family in the long run. Barbara is likely to get tense and tight lipped about every expense on the trip thereby ruining Bob’s pleasure. The family might need that money later. This is where the variation of “yes and” comes unto play. Barbara: I love the waves, too, and AT THE SAME TIME I am worried that Hawaii will be too expensive. Bob: Yes, that’s true, and AT THE SAME TIME, we saved by not going away at Christmas. Babara: I’m glad we put some money away, and AT THE SAME TIME I would like to avoid the cost of a long plane flight. Bob: Yeah, I checked prices and it will be peak season, and AT THE SAME TIME I get so much benefit from being near the water. It is worth it to me. Bob and Barbara are getting close to moving into the brainstorming phase to find a win-win solution. Notice that now when Barbara brings up the issue of cost, Bob slips in that he has considered cost. He already checked the price of tickets, so it is not that he is insensitive to their budget. His last statement also reveals how it is being near the water that provides so much benefit to him. 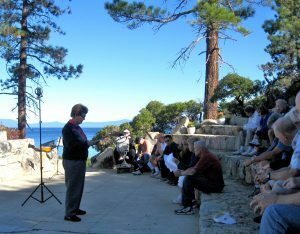 This would be a great place for them to begin to generate alternate ideas that meet Bob’s need to relax near the water and Barbara’s need to not go over budget. Tahoe? Santa Cruz? Lake Shasta? It is easy to imagine that this warm, lively conversation will continue to move along toward a solution that works for them both. They will end up with a good plan, but more importantly, the process of coming up with that plan will leave them feeling more loving and connected. Talk about WIN! WIN! Often times we make negative assumptions about what our partner is thinking or feeling without doing a reality check. Here’s an example: Barbara is washing the dishes while Bob sits on the couch reading. As she furiously scrubs, she mght be seething thinking, “It’s not fair that I’m working and he’s just sitting there relaxing.” She might go on to tell herself, “he’s okay letting me wash the dishes because I’m home all day and he thinks I don’t do anthing all day.” In reality, Bob might not be aware of her at all. He might just be enjoying his good book. Or he might have his own internal dialogue going. He might be thinking, “I am so stressed from work. I just need 30 minutes to veg out. I wish she’d stop doing the dishes and relax for a bit!” Fear of an argument can make it hard to reasonably ask our partner’s motivations. Let’s look at each part. The I-Statement starts by identifying one concrete situation. It goes on to express a feeling (in this case resentment) and the underlying cause of the emotion (Barbara would like to be resting, too. but feels she cannot until the dishes are done). Notice what the I-Statement does not say. It is not used for broad general character defamations (like You’re so inconsiderate!) and it does not go over past history (as in “You always let me do dishes and never help). Now it’s Barbara’s turn to do some Active Listening. Yes, this might seem counterintuitive: She has introduced her feelings gently with the intent of introducing a constructive conversation. Why is she the one then to open her heart to Bob’s feelings and motivations? Because eventually it works. That is why. Do enough Active Listening and eventually Bob will be ready to hear Babara’s concerns and even honor her requests.When enough good will has been built up –and Bob feels seen and heard and respected–then when Barbara says, “It would make a difference to me if you would help with the dishes,” Bob is likely to jump up and grab a dishtowel. Active listening, a difficult skill to learn, gives the talker an opportunity to be heard without judgment. The listener gets not just the facts, but also the speaker’s feelings. Practice first with topics that are not controversial. For example, you might ask your partner about a happy childhood memory or a person he admires. Your main purpose is to open up space in the relationship. By listening to your partner’s feelings and motivation first you activate your own empathy and secondly you gather a lot of information about what is important to your partner. This provides useful data when you are looking for solutions that will work for both of you. It feels good to be heard. Chances are, you felt listened to early in your relationship. Once you have mastered active listening with noncontroversial topics, try a more touchy topic like “What is a lesson you would really like our kids to learn?” This can be scary. Your parner might say something that really throws you for a loop like “I’d really like the kids to learn to hang glide.” Your comfort levels might go into high alert. What?! What kind of a parent lets his kids go up into the sky attached to a giant kite?! If you can take a deep breath and settle down into some active listening, you may learn something really interesting. Perhaps your partner did it as a young man. It was the most alive he has ever felt and he wants the kids to experience that intense feeling of being alive. Perhaps he felt closer to God. Perhaps he was terrified and he wants his kids to face their fears. Listening to your partner share such a meaningful experience would change how you feel about what he wants for the children. You would be in a better position to negotiate something you can both live with. 7.75% CA Sales tax will be added to the Subtotal at checkout, after you have entered your credit card info or logged into your PayPal account. 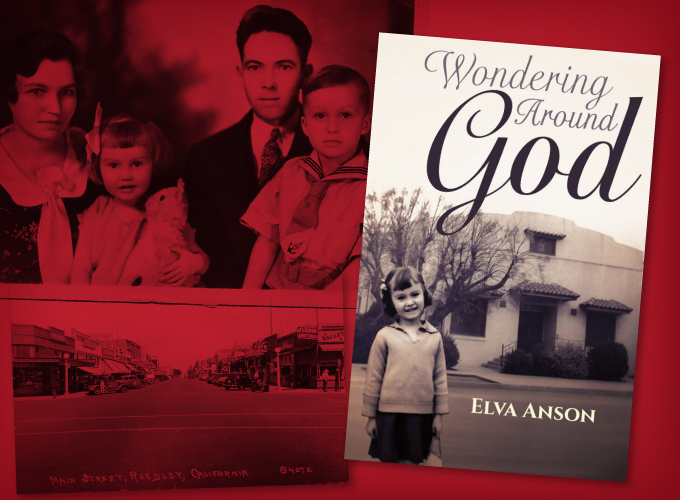 Elva Anson is available to speak at your next event! She can talk on wide range of topics including relationships, communications, parenting and many others. Click here to see a complete list.